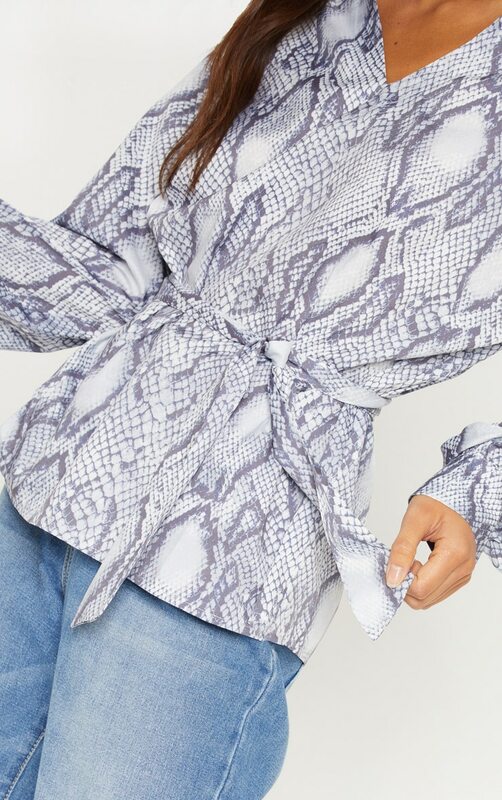 Work prints into your A/W wardrobe with this blouse. 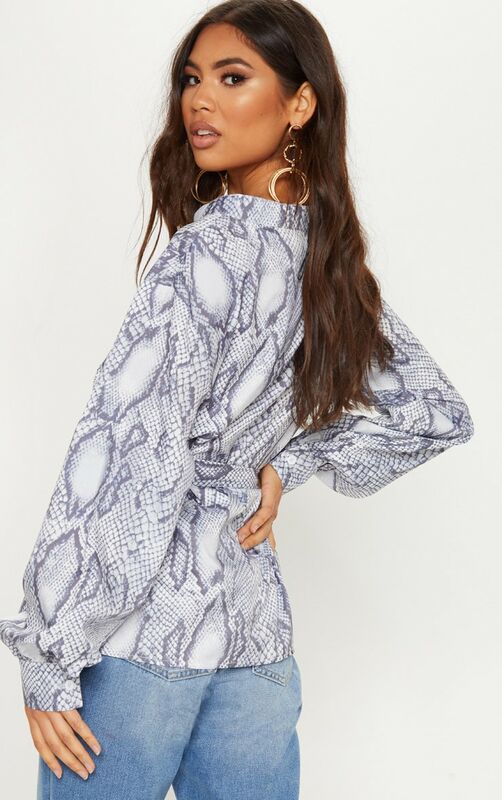 Featuring a plunge neckline. 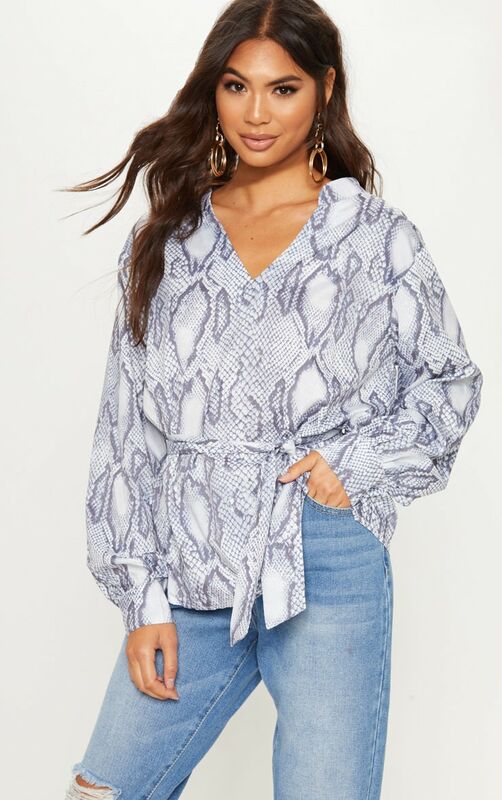 tie waist and grey snake print design, style with jeans and ankle boots for a look that will take you from day to night.